Experiencias Xcaret’s story began in the 1980s in the Riviera Maya, 70km from Cancun, when four visionaries decided to create a park to showcase the natural beauty and culture of Mexico. Today, the organisation expects to welcome its 45 millionth visitor and, after being named a winner by the Travvy Awards for the third year running, is rightly recognised as one of the best entertainment park providers in the world. 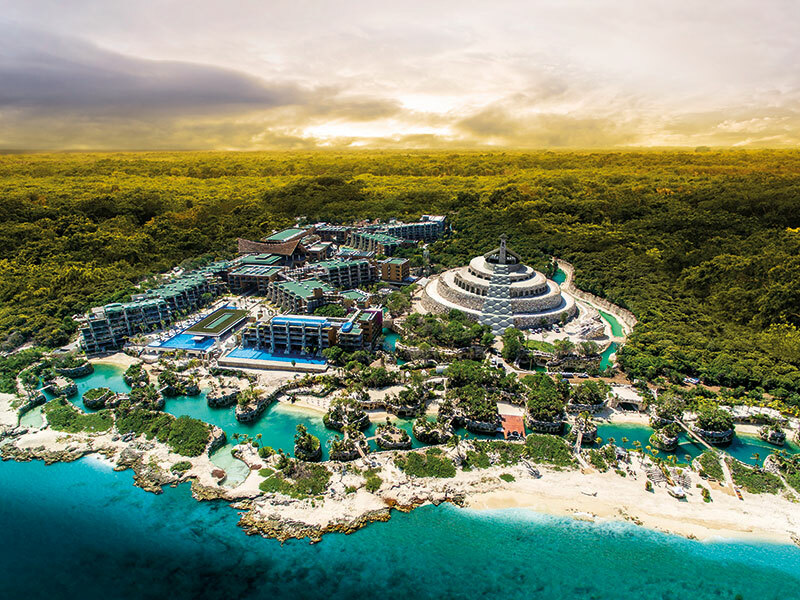 This success is in no small part due to Xcaret’s commitment to sustainable tourism, which has seen the organisation provide holidaymakers with a host of unique experiences inspired by a respect for nature, culture and life. With seven parks and a number of tour options on offer, Xcaret attracts more than 3.7 million visitors to the most vibrant parts of Mexico each year. Undoubtedly, Xcaret’s success is also due to its unique business model, which promotes a healthy balance between profit and the prosperity of its people and the planet. The seed sown by Miguel Quintana and his partners – my father Marcos and my two uncles, Oscar and Carlos – has continued into the next generation and now carries the responsibility of driving the business to a new level under the premise of innovation and excellent service. I have personally led the transition to cement corporate governance at the heart of the organisation, while also spearheading the development of Destino Xcaret – a project for which I am the CEO. Our commitment to the local environment and culture can be seen in the eco-integrated architecture at Hotel Xcaret México, which was designed by David Quintana. The hotel has 900 rooms and serves as a tribute to the talent and creativity of Mexican artists. Our decision to combine entertainment and environmentalism has been a great strategic success, enabling us to generate a new category in the international tourism industry: the All Fun Inclusive concept, with the best of Mexico included. Under this premise, tourists simply have to arrive in Cancun and they are ready for their vacation. When making a reservation with our hotel, holidaymakers also receive ground transfers, luxurious accommodation, entry to our entertainment parks – which include Xcaret, Xel-Há, Xplor, Xplor Fuego, Xoximilco and Xenses – a delectable selection of food and beverages, and access to the Xenotes and Xichén tours. What’s more, every part of this package is supplemented by premium-quality service. We believe this approach will redefine the idea of an all-inclusive holiday and boasts a level of service unparalleled by some of the world’s best-known entertainment parks. As a result of this forward-thinking approach, we have been able to implement a new business model that generates the highest levels of satisfaction for our visitors, while also proving profitable. Despite being an independent hotel, Hotel Xcaret México has managed to grow its occupancy rate rapidly, witnessing a rise from one percent to 92 percent in just two months. From the first month of operation, the resort has achieved a positive EBITDA – something that is practically unheard of in the hospitality industry. In strict adherence to its philosophy of sustainability, which follows the best practices outlined by the United Nations, Xcaret aims to maintain its growth in the coming years, with plans to construct 6,000 hotel rooms, a convention centre, a stadium and a mile-long commercial area that will integrate entertainment, shops and restaurants. The investment, which will total $2.75bn (€2.35bn), is expected to create more than 15,000 jobs directly and as many as 60,000 indirectly. Despite our many successes, I am confident the best is yet to come. Our ongoing aim is to contribute significantly to the social, environmental and economic betterment of our community and country. In Mexico, a new concept is being created in the tourism industry, and its story is just beginning.